Pupils from Key Stage 2 represented our school at the Gateshead Boccia tournament on Friday 12th February. 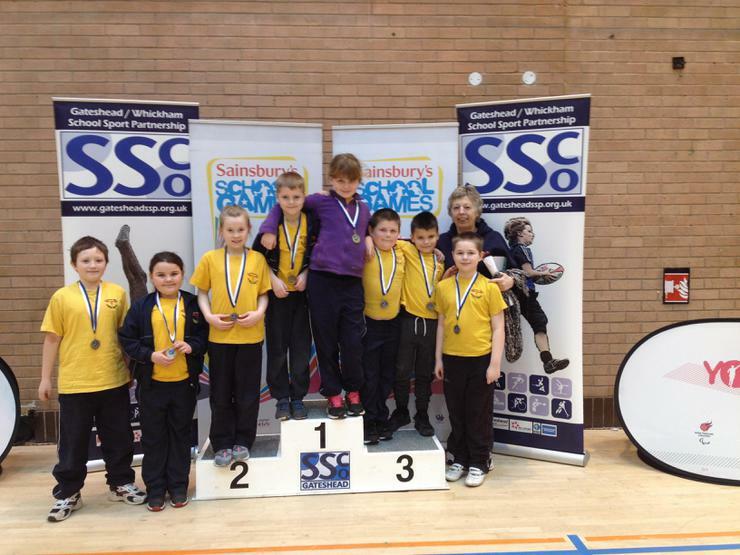 They competed against 32 teams at Gateshead Leisure Centre and came back triumphant wearing gold medals. Coach Lintern took the children and came back with a glowing report about both their sportsmanship and as always, their behaviour!! We have received an e-mail from Gateshead SSP to tell us that we will be representing Gateshead in the NATIONAL finals on Tuesday 22nd March! Good Luck Team Boccia!! !